For today we will analyze a simple game where the strategic plan is clear: Controlling an open file with eventual occupation of the 7th rank. As you look through the analysis, do keep in mind the mistakes made by both sides too and learn from them. Black seemed to have the possibility of a classic bishop sac: 11... Bxh2+ 12. Kxh2 Ng4+ but after 13. Kg1 Qh4 14. Rd1 Qh2+ (14... Qxf2+ 15. Kh1 Qh4+ 16. Kg1 Qf2+ is perpetual check.) 15. Kf1 Qh1+ 16. Ng1 Black cannot make further progress in the attack and is down a bishop. 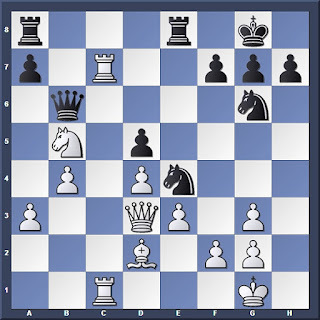 White's main challenges here are to free his dark-squared bishop, and watch out for a potential bishop sac on h2. I wanted to prevent the sac. However, the same could also have been achieved by 14. h3 after which my e2 knight could be used to add firepower to the Queenside. Let's do a quick positional analysis. Material is equal, and both sides have completed development. Black has most of his pieces positioned on the kingside, suggesting an attack on that wing. For White, his assets are the open c-file, and potential outpost on c5. 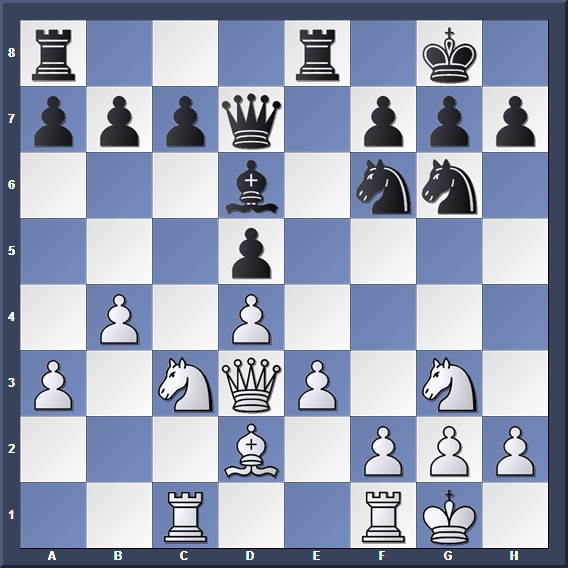 Thus from here my plan is simple: Place my major pieces on the open c-file to support a Queenside attack. At the same time, I must also watch out for potential enemy outposts on e4 and c4. 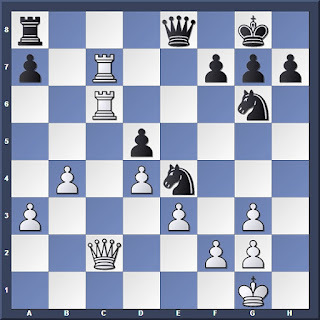 This gives White doubled pawns, but also removes a critical defender of the c7 square. An alternative would be 15... Rac8 16. Nxd6 Qxd6 17. Rc2 Ne4 keeping close watch on c5. White could consider pushing b6 followed by c5 to wrestle back control of the Queenside. 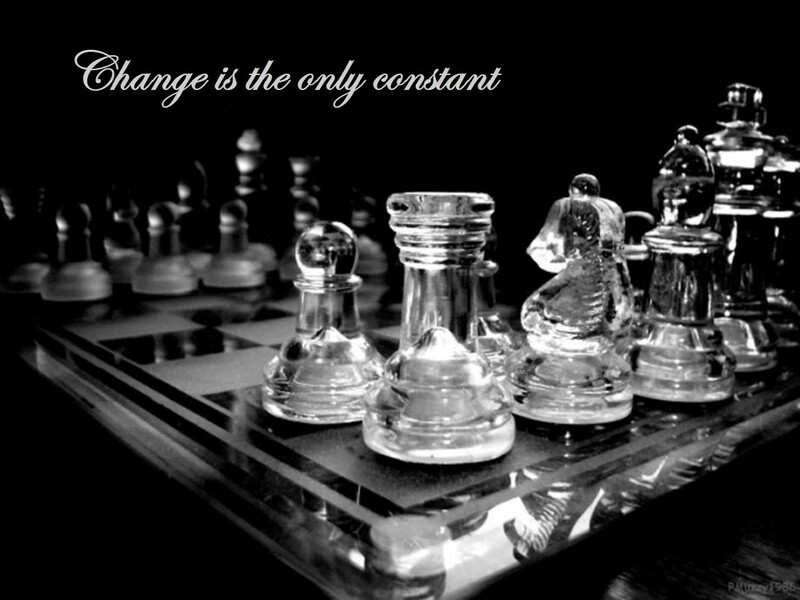 Losing a pawn. 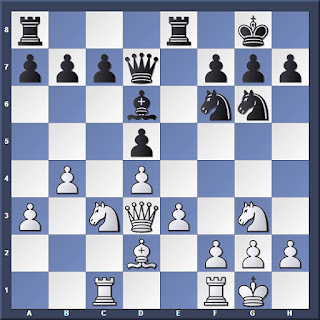 16... c6 should have been played, stalling White's advance. After 17. Nc3 Ne4 Black can either play b6 followed by c5, or bring his knight onto the c4 outpost via Ne4-Nd6-Nc4. White's best continuation would be to trade knights and re-open the c-file. 18. Nxe4 Rxe4 19. a4 Rc8 with an unclear position. My inaccuracy gave Black the chance to regain some material. 20. Rc5 was better. The only way to retain the material. The knight was a decoy: 21. Qxd2? 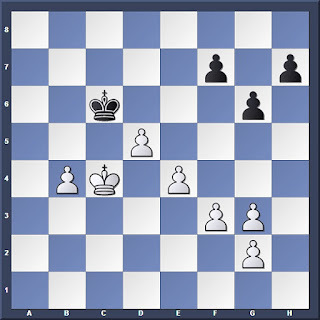 Qxb5 and White is the one who's a pawn down! Fortunately for me, my occupation of the c-file ensures that I still have the advantage. 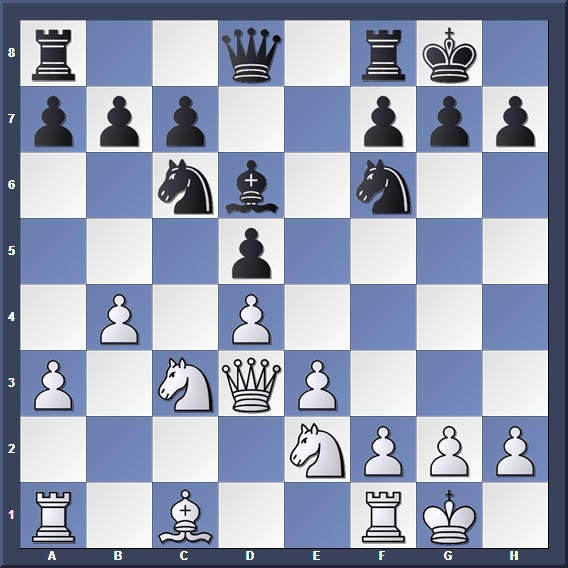 The next stage of my plan is to use the file to tie down my opponent's pieces, and support the advance of my Queenside pawn majority. Eventually, the weight of the c-file should crush Black. For the rest of the game I simply advanced my Queenside pawns to tie down my opponent's knights, before bringing my king into the fight. This, coupled with a few more mistakes by my opponent, allowed me to win the game. There will be no more analysis for the remaining moves. A long but conclusive struggle. While both of us made several mistakes during the battle, it was certainly instructive for me to analyze.